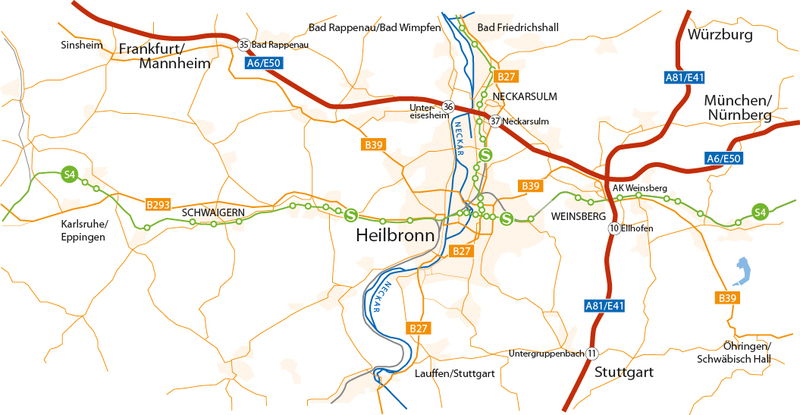 Please click here for some more information about travelling to and parking in Heilbronn. The Mercure Hotel Heilbronn is our official race hotel and situated just a few meters away from the swim start, the transition area and the race courses as well as the finish line at the Marktplatz. For booking inquiries please contact the hotel directly. 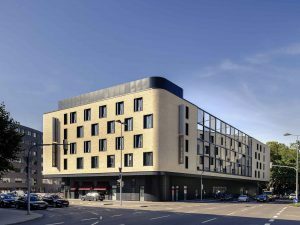 The Ibis Hotel Heilbronn is another partner hotel and situated centrally as well. For booking inquiries please contact the hotel directly. 20 parking spaces for camper vans (partly with power, water and sewage, against charge) are located at the “Wertwiesenpark” behind the “Neckarhalde” public outdoor pool (Address for GPS: Neckarhalde 21, 74074 Heilbronn) near to the run course. Pre reservation is not possible. Other parking spaces for campers or even tents are not available in the city center. More accommodations can be found on the pages of Heilbronn Marketing GmbH.